May the force be with you at your next party! We have 6 Jedi costumes in multiple shades of light to dark. 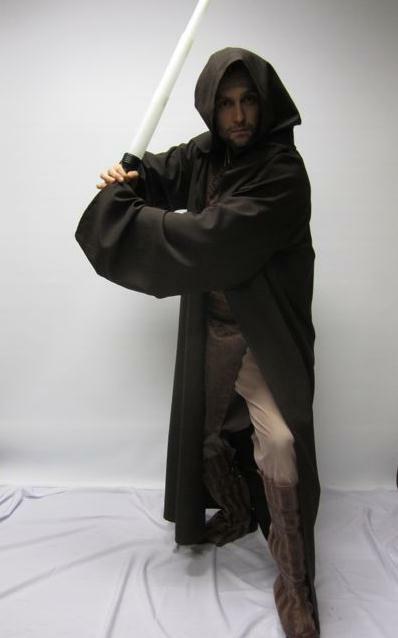 Costumes come with Neck collar, tunic shirt or skivvy, short robe top, belt, long cloak, light saber and optional shin guards. 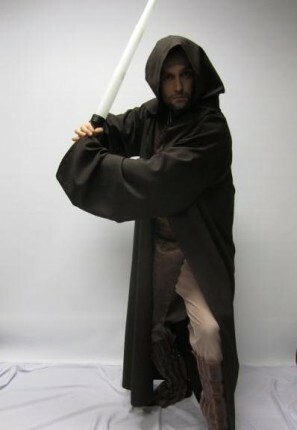 Rat tail Jedi wigs and black boots also available.